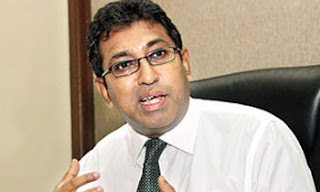 Almost all prominent members of the United National Party (UNP) have agreed on the reorganization of the party, State Minister Dr. Harsha de Silva said yesterday. Dr. De Silva said this at the opening of the Janaliya Self employment project in Kotte last morning. currently discussing on the reorganization of the party, “he said. "No Confidence motion against the Prime Minister has nothing to do with the reorganization of UNP and Joint Opposition MPs should not get involved in it," he added responding to a statement made by some JO MPs who have said some UNPers are also supporting the motion against the Prime Minister. He also said he and State Ministers Ajith P. Perera and Eran Wickramaratne had joined JHU Leader Minister Patali Champika Ranawaka to fight for the inaction of Judicature Bill. "People wanted us to bring robbers behind bars and that is why this legislation has to be passed,” he said while stating that a number of petitions have been filed in favour of the Bill. Asked about the move by the SLFP to oppose the Bill, Dr. De Silva said no robber will back the Bill. “Which robber will back the Judicature Bill," he questioned.